Platform as a Service | Zing Technology - improving your applications and moving them to the cloud. 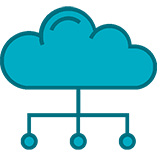 Using Platform as a Service, we automate configuration, deployment and ongoing management of software applications in the cloud. We build upon your existing software applications, improve them and move them to the cloud. Using PaaS, Zing’s developers customise your existing software applications so that you get the most from those applications. The only difference is that, rather than on your servers, the software is located in the cloud, with all the advantages that cloud provides. Why Platform as a Service? The ability to build in high availability and disaster recovery as standard. PaaS also provides businesses with useful data analytics and insights. If you have an application that is reaching the end of its shelf life, using Platform as a Service is the best way to modernise that applications, breathing new life into it and moving it to the cloud. PaaS enables you to focus on your custom applications, not the platforms they run on. Reduced development time. Using PaaS, coding time is cut and so your application is available faster. Platform independent – PaaS enables you to access your systems from any device (mobile, laptop, pc) and any location. Pay-as-you-go. With PaaS you can control much you will spend each month on your cloud application. Your computing and storage will grow as your business grows and PaaS facilitates this. Hassle–free. You don’t need to worry about patching, hardware failures or network issues again. Microsoft’s Azure cloud promises 99.95% uptime.